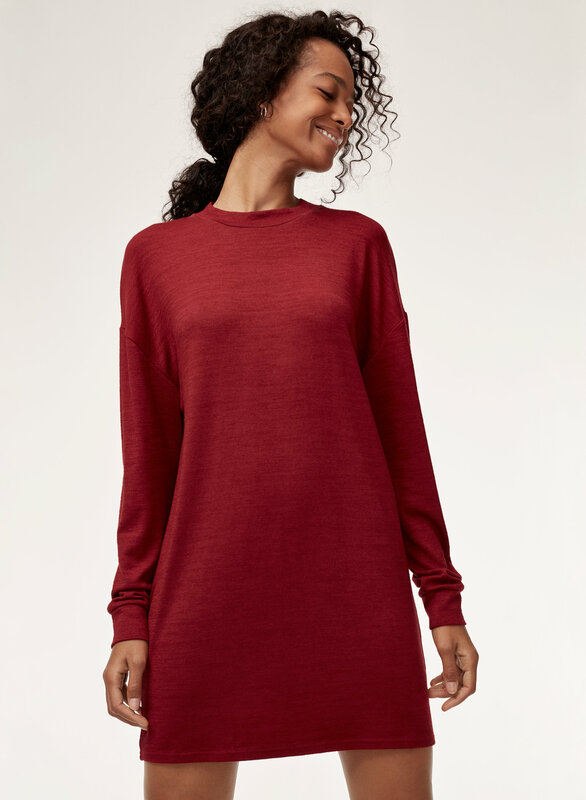 Cut from Wilfred Free's signature Reposa™ fabric, the Verna is everything you want in a fall dress. The fabric hugs you just so, and flatters like nothing else — a perfect match for the feminine silhouette. This dress is very comfortable and not see through. Just wish the neckline were lower to give it a less casual look, but that's just my preference! Great color, very comfortable as are all the Wilfred free dresses. Fits true to size, hits right above the knees. I’m 5”5’ 135lb athletic build 34C, the small fits great. 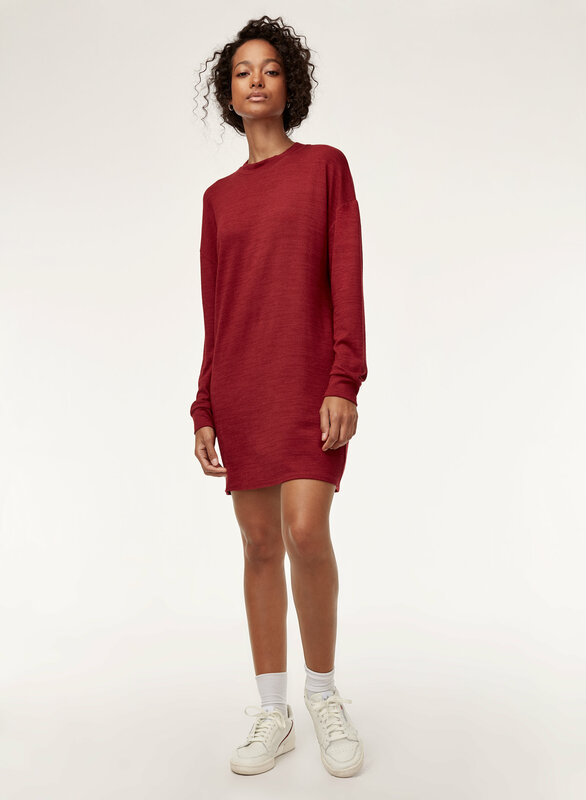 The perfect ls t shirt style dress! 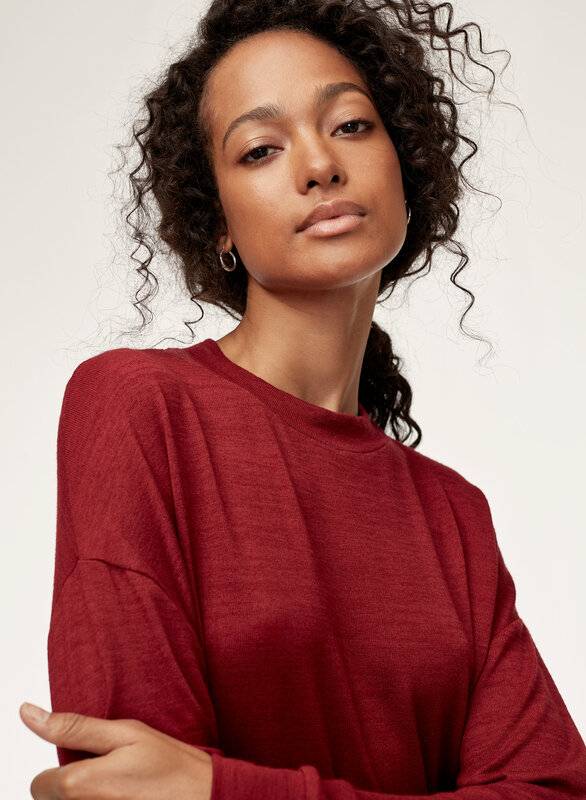 I love the higher neck on this and the material is very soft. I ordered a size xs which fits perfectly although I probably could have gotten a size small and had it be a bit longer. So simple and nice soft fabric!